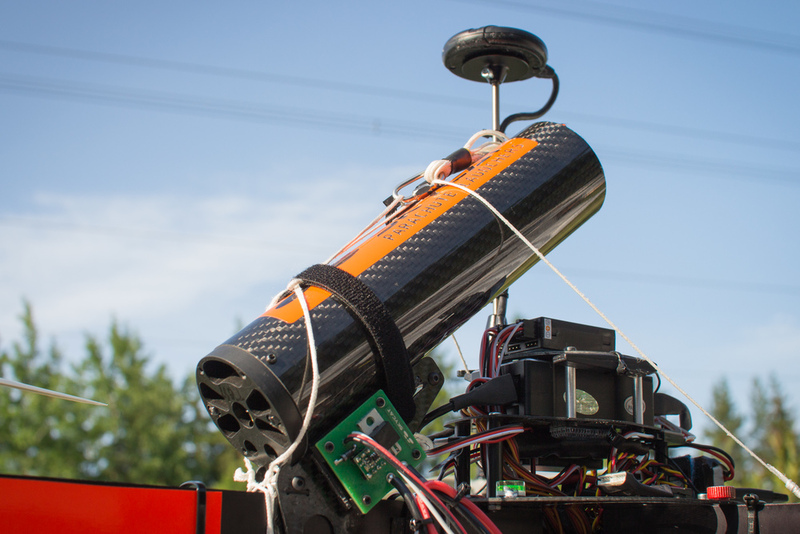 No fault prone servos, gasses or explosives are needed! X55 is perfect for Inspire 1 series (mount available) and other models up to 12 kg. Table below shows calculated descend speed, impact energy and freefall equivalent in relation to aircraft weight. We offer many kinds of mounting options, check them out at the store. Launcher needs to be supported from the base, against recoil forces. For custom installation, X55-CF launcher features M3 threads at the base. Velcro can be used to secure launcher in place. Trigger is controlled via PWM channel through RC receiver, autopilot PWM output or other device. Multiple control sources can be used by adding an extra trigger for each. Trigger gets 4.9 - 6.1V operating voltage from PWM wire. Power source for launch can be either aircraft's flight battery, or a dedicated launch battery. Total system weight: Approx. 320g (0.71 lbs) , including X55 launcher, parachute and trigger. 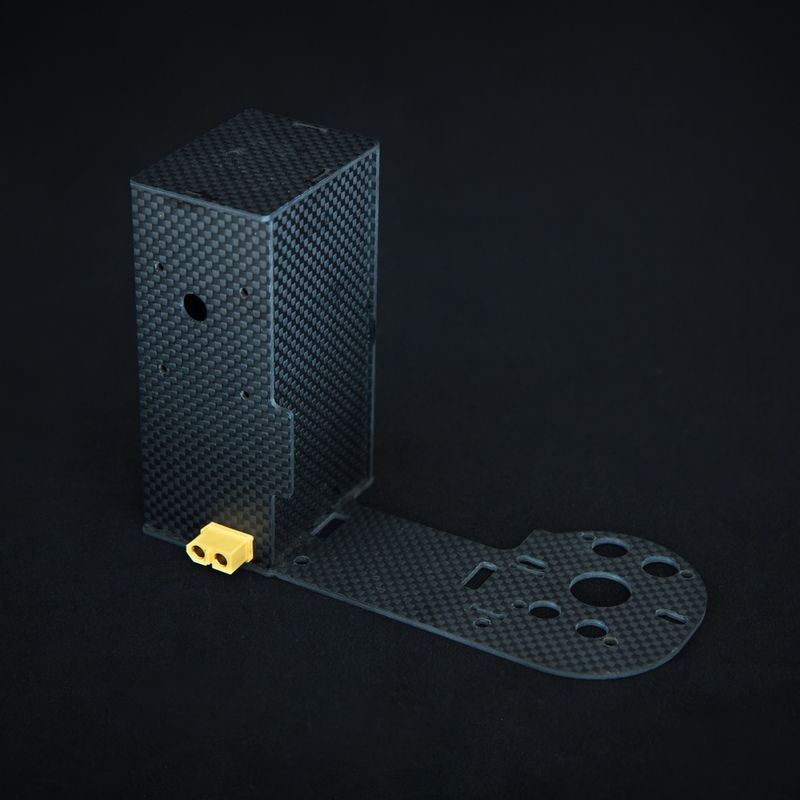 X55-CF launcher is made of carbon fiber combined with precision NC machined POM plastics. Note, Fruity Chutes parachutes diameter is represented as effective diameter when deployed. Especially round parachutes typically are represented as flat diameter measured on the ground which results much higher value, but smaller parachute. Manufacturer's size data: Effective diameter when deployed 48 in / 1,22 m.
Manufacturer's size data: Effective diameter when deployed 60 in / 1.52 m.
Manufacturer's size data: Canopy area 2,5 m2.